economy, and it’s redefining what IT can bring to a business. 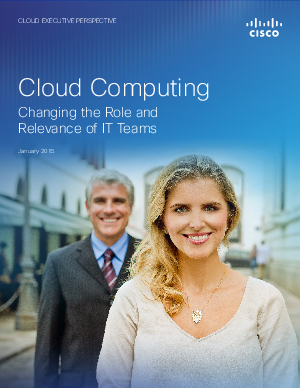 Imagine an IT team that’s less reactive and more proactive, less tactical and more strategic. An organization that anticipates business needs, makes proactive recommendations, and supports new requests and opportunities with speed and efficiency - becoming partners with the lines-of-business. The truth is, companies are already looking to IT to be more strategic and influential. IT organizations are focusing on supporting growth, boosting revenue, advancing innovation, and delivering new customer experiences. Their mission is no longer about managing and troubleshooting technology. It’s about transforming business processes and driving new business outcomes.